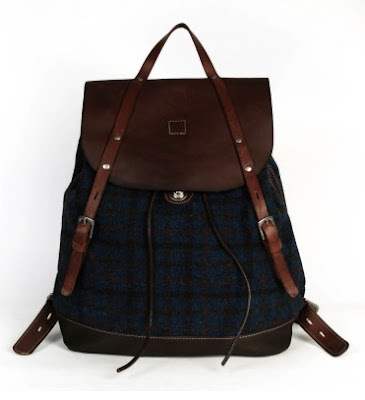 This is a luxurious Harris Tweed and Italian leather rucksack. Its classic design includes a drawstring opening, tuck tight closure and bridle leather buckles. It has a strong leather base, chunky stitching detail and thick adjustable leather straps.